Marvel.com: Why a new look for Venom? What brings it on? Valerio Schiti: I suppose that the main reason for this change is the new readers—at least that’s what [GUARDIANS OF THE GALAXY writer] Brian Bendis said! The new generations of readers have a totally different idea of Venom; most of them don’t even know that once he was a bad guy. In this moment nobody perceives him like a monster, everybody knows that he’s a hero, a good guy with a super cool costume that can do amazing things so why don’t we concentrate on them? Brian noticed that new way of thinking about the character and imagined this totally different version. And everybody knows that if there’s someone with a great intuition for what is cool, that man is Brian Michael Bendis. Marvel.com: What directions were you given in designing this? Marvel.com: Once you started, how did you make it your own? Valerio Schiti: I wanted to do give him a brand-new look but somehow classic. My idea was that he should look more like he was in his first appearance. In effect I tried to make “my” Venom closer to the first Venom than to Agent Venom; ironically the new version should look like the oldest version. There are two reasons for this choice. The first reason is logical: I supposed that when we saw Venom for the first time, in AMAZING SPIDER-MAN #299, the symbiote suit was still a bit functioning. So, if I had to do imagine a “healthy” version of the costume, why not use that first and powerful image as reference? The second reason is a sentimental one: I started reading Spider-Man more or less when they published that run here in Italy in 1992, so it was some kind of homage to what I used to love when I was a kid. Marvel.com: Were there any big influences on your work here? 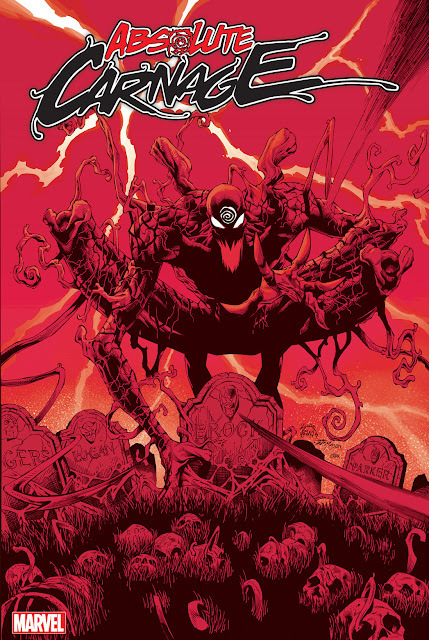 Valerio Schiti: The design of the first appearances of Venom, of course. I looked at the work of Mike Zeck and Todd McFarlane mostly for the size and the main idea: a big guy with a white spider on the chest. That was a perfect and powerful design indeed and I wanted to keep the final design as close as possible to that look. I also added some details coming from sci-fi anime and movies like “Ghost in the Shell” or “Tron” because this time we wanted to show a “space Venom,” a proper member of the Guardians of the Galaxy. But these are small details; the main thing is still the white spider. There’s also a uniform for Flash Thompson. It should seem like the everyday look of the new Venom-armor; the details are mostly the same but this should look like a normal space suit. Oh, Flash will also have a new haircut, a crew cut actually. After all he’s still a military man! I am going to go on record as digging this All New Venom. It isn't perfect and I do hope that we see more of a classic look when (if) the symbiote takes over again, but I prefer the larger sized armor over the sleek military look Flash rocked when he first got the symbiote. I know there is going to be a TON of arguments with people who are for and against this new Venom - please be respectful in the comments. 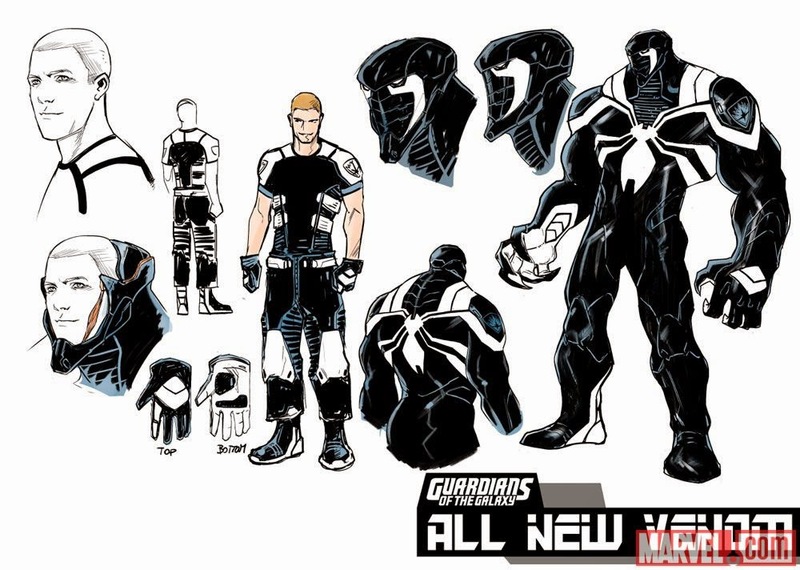 So, what do YOU think of this new era of Venom?